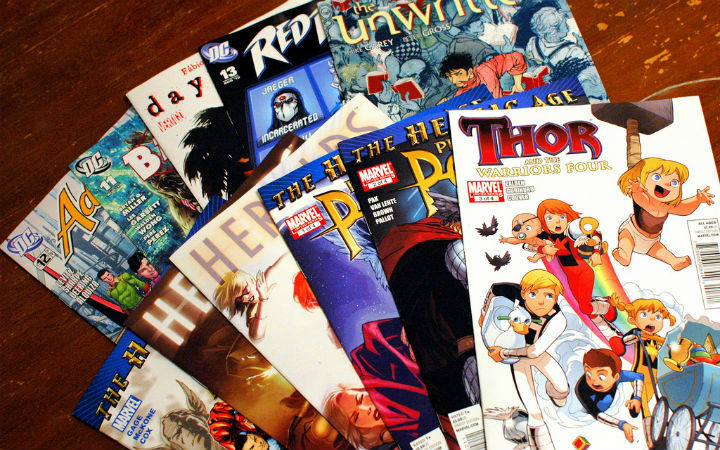 How to fix the comics industry’s harassment and diversity problems? The Mary Sue’s Marcy Cook wrote an article summing up the industry’s problems, and offers a possible solution to resolving them. Dark Horse Comics’ Scott Allie, its editor-in-chief until recently, was recently mentioned in an article by Janelle Asselin on Graphic Policy. Asselin noted Allie’s repeated harassment of employees while drunk. Allie has since come forward, admitted his behavior, and apologized. Heidi MacDonald of The Comics Beat has also written about the comic industry’s widespread harassment problems. She also cites its historically ingrained aspects, including Silver/Bronze Age DC editor Julius Schwartz. More from The Mary Sue on Valerie D’Orazio having been harassed online by Comics Alliance writer Chris Sims. Like Allie above, Sims has also since apologized for his behavior. Another article by Heidi MacDonald on Marvel’s new “Red Wolf” comic writer Nathan Edmondson, who’s also faced some accusations. And that’s probably just the tip of the iceberg. Comics management that either defend the status quo or are indifferent/unconcerned. A vocal number of comic fans and creators willing to harass women and minority creators, or are apathetic about/ignore/dismiss concerns about harassment. Whistleblowers (victims, witnesses, etc.) unwilling to come forward, from fear of being sued or blacklisted from working in the industry. Yes, actually doing the right thing can result in losing their livelihoods. The usual investigative journalism procedures and issues to follow or deal with: credible sources; sources that can’t or won’t come forward or provide names; enough resources to deal with possible retaliatory lawsuits; etc. It’s all rather appalling and regressive. I’ve had jobs with people fired for reasons the comics industry ignores. (The harassers listed above are all still employed at their respective work places.) This is especially regressive with the recent rise in comics’ profile: movies and TV shows based on superhero comic properties; the New York Times best seller list features large numbers comics by women; and the explosion in independent, or at least non-Big Two (Big Three if you count Image) comics available. Fewer gatekeepers and the rise of the Internet means producing comics is open to a much larger range of people, which is a good thing for the medium. All of the above would help greatly lessen some of the more embarrassing facets of the comics industry and its output, especially at the Big Two. It’d also reflect changing United States demographics, which show those controlling the comics industry (heterosexual White males) are definitely not representative of their presumed customers, the general American public. For those bad at math/statistics, a comics industry actually reflective of the general public should at minimum see women make up half of staff, and 37% (a bit over a third) of the staff being people of color. Whistleblowers willing to come forward, in a high profile enough way that gets mainstream media attention (i.e., TV, magazines, newspapers, and prominent websites) and embarrasses comics companies—or their corporate owners—into changing their ways. Unfortunately, there’s the above issues about blacklisting, lawsuits, and continued harassment. The US also has an iffy record lately of dealing with whistleblowing (see: Edward Snowden). 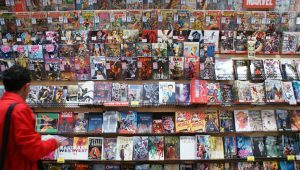 A large and high profile enough lawsuit that embarrasses the comics companies in question, and attracts mainstream media attention. Unfortunately, besides the downsides listed in #1, lawsuits also are hit-and-miss, and can often favor corporations. Proving discrimination or harassment can also be tough in court. Lawsuits are also expensive; comic companies can easily afford lawsuits, but not victims looking to sue. A reader-lead boycott of either specific titles or of entire companies. Ideally, said boycott would also get mainstream media attention. However, like lawsuits, boycotts are also hit-and-miss. A boycott can also affect the non-targeted creators on a title, as shown in the Orson Scott Card Superman comic blowup a few years ago, where the non-targeted artist quit. Finally, there’s getting a large enough number of people to boycott. There’s enough fans that don’t know or care about harassment issues, or even vocally support problematic creators. The comic companies forcing an industry-disruptive change that changes up the staff as a byproduct. While I had hoped DC Comics’ move to the west coast might be such a large, disruptive change, it doesn’t seem to be the case—things so far still seem to be status quo. The only other disruptive change I can think of would be for DC or Marvel deciding it’s not worth publishing paper comics anymore, and switching to a mix of digital comics and printed trade paperbacks. Or even more radically, stop publishing comics altogether. Women and minorities skipping traditional comics publishers entirely, and create independent comics, or even start their own comic companies. Going outside the existing system as much as possible has its advantages—fewer gatekeepers, less traditional burdens, etc. The success of titles like “The Walking Dead,” various webcomics, etc. can make going independent appealing, so this point is already happening. If prominent enough, it could also draw enough money and attention away from DC and Marvel to force the Big Two to implement meaningful changes. However, it doesn’t necessarily fix what’s wrong with the comics industry at large. Also, women shouldn’t be forced to go independent just to have a shot in the comics industry; if they really want to write Batman, they should have the chance. Finally, going independent has its own downsides, and isn’t easy—plus, people have bills to pay. Regardless how it happens, change will come to the comics industry, given shifting entertainment tastes, demographics, and so forth. Comics fans and publishers can’t insist on the public taking comics as a medium seriously, yet behave with a fratboy, “He-Man Woman-Haters Club” mindset. I guess the comics industry can choose to cling to their old ways. However, they shouldn’t be surprised when a sizable number of the general public continue believing in comic reader stereotypes, or dismiss comics as by and for people like the cast of “The Big Bang Theory” or “The Simpsons”‘s Comic Book Guy. They also shouldn’t be surprised if the public (and more and more existing fans) just stick with reading webcomics and graphic novels by independent creators, especially ones by women and minorities. After all, the public can already get DC and Marvel superheroes on TV, video games, etc. for free or cheap; what do they need “mainstream” comics for? Minorities in cartoons: "Hero High"
Next Post:Upvoted: an advertiser-friendly Reddit? Awesome article, very comprehensive and great points and suggestion.